This week's biggest news is Apple's battery recall, which covers 1.1 to 1.8 million 12" iBook G4, 12" PowerBook G4, and 15" PowerBook G4 batteries. And the next most important has to do with Apple's solution to MacBook overheating, which is to patch the notebook's firmware so that the fan is always running. In other news, Apple's built-in AirPort Express hardware and OS X's WiFi drivers have been exonerated in the widely publicized MacBook WiFi hack. All indications point to misunderstandings, shoddy research, and second rate reporting. Apple takes home an A for tech support from Laptop, Newer Tech has 50% longer batteries for 12" G3 and G4 iBooks, and the Lapinator is a notebook support designed to keep the 'Book's heat away from the user. Burning Batteries: After Dell, Apple? "As you might have heard on the news, Dell has decided to recall 4.1 million laptop batteries following a series of impressive accidents. Here's some more information: Sony has reportedly been introducing some kind of metal crap during the manufacturing process of its batteries, and is therefore to be blamed for these fires and explosions. All the batteries sold between 1st April 2004 and 18 July 2006 are therefore likely to short-circuit." Link: Burning Batteries: After Dell, Apple? "All Sony Corp. batteries made for laptop computers are being reviewed by the U.S. Consumer Product Safety Commission after Dell Inc. this week recalled 4.1 million units that may burst into flames. "Apple Computer Inc., maker of the Macintosh computer, is investigating whether the recall affects current or previous models, Lynn Fox, a spokeswoman at the Cupertino, California- based company, said today." Link: Sony Laptop Batteries under Investigation by U.S.
PR: Apple has determined that certain lithium-ion batteries containing cells manufactured by Sony Corporation of Japan pose a safety risk that may result in overheating under rare circumstances. The affected batteries were sold worldwide from October 2003 through August 2006 for use with the following notebook computers: 12" iBook G4, 12" PowerBook G4, and 15" PowerBook G4. Apple is voluntarily recalling the affected batteries and has initiated a worldwide exchange program to provide eligible customers with a new replacement battery, free of charge. This program is being conducted in cooperation with the U.S. Consumer Product Safety Commission (CPSC) and other international safety authorities. Please use the chart below to identify the battery model and serial numbers that apply to your iBook or PowerBook. If the first 5 digits of your battery's 12-digit serial number fall within the noted ranges, please order a replacement battery immediately. To view the model and serial numbers labeled on the bottom of the battery, you must remove the battery from the computer. The battery serial number is printed in black or dark grey lettering beneath a barcode. See photos below. Note: After removing the recalled battery from the iBook or PowerBook, consumers should plug in the AC adapter to power the computer until a replacement battery arrives. If you participated in a previous battery recall for any of these computer models or recently purchased or received from Apple an extra battery for an iBook G3, please check your battery serial number in case you received a replacement battery that is affected by this program. National and regional resellers, catalogers, and Apple's on-line and retail stores sold the computers with the batteries from October 2003 through August 2006. These batteries were also sold separately and may have been supplied as service replacement units. To begin the battery exchange process, you will be asked for the serial number of your iBook G4 or PowerBook G4, the serial number of your battery and a shipping address. Customers in Australia and Asia (excluding Japan) should contact their local Apple Authorized Service Provider to obtain a replacement battery. After serial number verification, a new battery will be shipped to you, free of charge. When you receive the replacement battery, please use the same shipping packaging and included prepaid shipping label to return the recalled battery to Apple for proper disposal. Note: If your battery serial number does not match any of the ranges listed above, you do not have to exchange your battery. "The U.S. Consumer Product Safety Commission has reviewed substandard batteries for Apple's 15-inch MacBook Pro notebooks but determined they didn't pose any safety threat, a commission spokesman told CRN Wednesday. "Apple has voluntarily launched an exchange program for batteries sold in some 15-inch MacBook Pro laptops, but the Cupertino, Calif., company said on its support Web site that it was doing so only because it discovered the batteries 'do not meet our high standards for battery performance.'" PR: The MacBook SMC Firmware Update adjusts fan behavior in the MacBook. The SMC Firmware Update adjusts fan behavior in the MacBook. After this update has completed successfully, your SMC Version will be: 1.4f10. The updater application will be installed in the /Applications/Utilities folder. 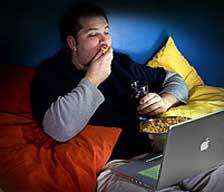 "Apple on Thursday issued a firmware update for its entry-level MacBook notebooks to adjust 'fan behavior.' And it wasn't talking about Apple users. "According to users commenting on Apple's own discussion groups, the MacBook firmware update makes a notebook's fans run continuously, albeit at a low speed. When necessary, the fans will speed up to move more air through the case. "Some didn't care for the change." "Apple has posted a firmware update for its MacBook consumer-oriented laptops, the latest in a series of 'fan behaviour' adjustments made to the company's Intel-based computers. The patch adjusts the machine's System Management Controller (SMC), a device that monitors and manages Intel-based Macs' power-related functions." "The company employing two security specialists who caused a sensation in early August at the Black Hat security conference in Las Vegas when they demonstrated how to hack an Apple MacBook wirelessly has been forced to eat humble pie. It turns out that the two hackers did not use the native MacBook wireless driver in their hacking demonstration." "The demo was akin to loading Windows XP on a Macintosh, exploiting unpatched vulnerability MS0-060, then saying that this was a demonstration of how a Mac could be hacked." "The article description says it all. My beautiful new MacBook essentially died after about six weeks of heavy use, and now it's on its way to Small Dog to see what their tech department has to say. "But imagine my surprise this a.m. when I saw that Marc Zeedar has precisely the same problems with his own MacBook (read the full MacOpinion post). His article sounds like I wrote it. How utterly uncanny. That means my MacBook wasn't the only one, obviously, and since the symptoms absolutely match my own, Apple has a problem." "When something goes wrong, who delivers the best service? Whether it is insufferably long hold times, by-the-script technicians, language barriers, or transfers between untrained reps, the inability to find a quick fix can add to your frustration. Laptop went undercover to assess just how good or bad the tech support of the major laptop vendors is, and to see how well and swiftly each was able to solve our problems. "We tested the phone and online tech support of each of the following laptop vendors: Acer, Apple, Dell, Fujitsu, Gateway, HP, Lenovo, Sony, and Toshiba (in alphabetical order). We then graded each vendor based upon the availability of information and the ease with which it was located. Phone grades were based upon wait times, the quality of service, and a positive resolution of the problem. Of the nine vendors tested, two received the Laptop Editors' Choice Award for excellence in tech support." "I thought you might find this interesting. I bought my MacBook the day they came out at the San Francisco Apple store. I've had major discoloration with it (partly because my work environment is so dusty). "I was going to take it to the Apple Store (as noted they will replace or do whatever with the plastic). 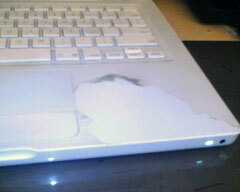 Then, today, I looked at the dirty edge of my MacBook, and it was - for lack of a better word - fraying. With a little nudging, the 'surface' of my dingy MacBook began to peel away, revealing a beautiful white plastic underneath." "Apple Computer is said to be looking for a third contract manufacturer in Taiwan for its MacBooks, with Foxconn Electronics (the registered trade name of Hon Hai Precision Industry) standing a good chance of becoming the new partner, according to the Chinese-language Economic Daily News (EDN)." PR: Listen to more music, watch more videos, get more work done with more run time between recharges. NuPower Batteries by NewerTech, better than the your other battery - when it was new! PR: Lapinator, Inc.'s Lapinator is a portable insulated computer laptop desk. The Lapinator terminates the heat given off when using laptop computers, maximizing comfort and preventing possible injury. The Lapinator, an insulated support for your laptop computer, is a portable, comfortable, lightweight, and inexpensive solution to the heat and stability problems associated with using a laptop. And, with dimensions of 12 x 13 x 1 inches, the Lapinator can easily be stored in most laptop cases. How does the Lapinator work? Weighing in at a meager 11 ounces, the Lapinator uses 3M's space age Thinsulate™ Insulation to block laptop heat from reaching the user. The Lapinator employs a special pre-compressed Thinsulate so it will never lose its insular qualities. The Lapinator also has open cell foam rubber "legs" to lift the entire unit three quarters of an inch off of the lap, creating a "chimney" effect between the legs allowing the user's body heat to quickly dissipate. The Lapinator not only protects you, but it protects your computer, too. Each Lapinator comes with two half-inch self-adhesive rubber bumpers that can be permanently attached to the top of the Lapinator. These bumpers lift the back of the laptop off the Lapinator surface, creating convection currents that allow your laptop to run cooler. These bumpers also provide a more ergonomic angle for typing. The Lapinator's sturdy polypropylene top provides a safe and secure non-slip surface and the bottom of the unit consists of durable yet comfortable crosslinked foam wrapped in a pique cloth that will not slide off of clothes or skin. The back of the Lapinator includes a piece of One-Wrap™ Velcro that securely wraps the power, modem and network cords attached to many laptops. The Lapinator is designed to provide the highest degree of stability for laptop use. The Lapinator can be used while waiting in an AirPort, on the plane, commuting by train, in a car, or sitting in your favorite easy chair at home. Lapinator, Inc. conducted a recent test running a Dell Inspiron 8000 laptop on the Lapinator for two hours. The laptop reached a rather warm temperature of 115 degrees. But in a 70 degree room, the temperature between the Lapinator legs and the desk where the Lapinator rested was a cool 73 degrees. When a laptop runs on a desk, the wood or metal surface acts as a "heat sink." This is never more evident than when using your laptop in your lap. It doesn't take long to realize that your legs also act as a heat sink. This heat conductivity creates a "hot spot" right under your laptop that makes it much more difficult for your laptop's cooling system to work efficiently. The Lapinator's surface and core plastic layers are not heat conductors. This means that laptop heat dissipates. 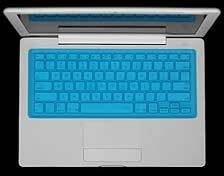 Your laptop is not sitting on a "hot spot" so it's cooling system works much more efficiently. Almost all of our competing products claim that resting your laptop on heat conductive materials is a good thing! It isn't. The Lapinator provides two levels of ventilation. First, in addition to the insulation, the Lapinator delivers more airspace between it and your laptop than any other "in your lap" product. That space is created by two 3M self-adhesive bumpers that lift the back of your laptop 1/2 an inch off the Lapinator's surface. The combination of the non-conducting plastics and added air space maximizes heat dissipation. This ventilation is especially critical for the many laptops whose fan vents heat directly through the bottom! 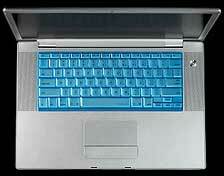 One of our customer's bottom venting Hewlett Packard laptops would simply turn itself off when it go too hot! The Lapinator solved her problem. The second level of ventilation is provided by the Lapinator's offset "legs" that lift the insulation up and off of your lap. This space created between your lap and the Lapinator permits body heat to dissipate keeping your lap extra cool! The Lapinator's durable polyethylene top provides a nonskid surface that still allows for easy laptop position changes during use. For those laptops without their own rubber feet, or if an extra measure of stability is desired, please use the self-adhesive bumpers which prevent any movement. Though the Lapinator's surface may distort a little bit during use as it dissipates the heat, it's melting point is well over 200 degrees. Another problem that frequently occurs during "in your lap" laptop use is the tendency for the unit to slide towards your body. This slippage results in a rather uncomfortable typing position. The bottom of the Lapinator consists of a flame-laminated colorfast pique cloth that will neither slide on nor snag your clothing. Its also comfortable when wearing shorts. The laptop/Lapinator combination easily slides across across a desk or table when the need for space arises. Our customers pointed out that during a phone call or meeting they no longer had to stand, lift, and move their laptops. For quick and portable storage the Lapinator's legs compress, allowing the Lapinator to easily slip into the outside pocket of your laptop bag. However, when weight is distributed across the Lapinator during use, the legs will not compress. Each Lapinator employs a 4 inch strip of One Wrap Velcro in the center of the back of the unit. This strip will neatly and securely contain the power, modem and network cords often attached to your laptop at home or in the office. Through the stress of normal use, laptop power connectors and cables can contribute to failure of the receptacle or be damaged themselves. The Velcro strip secures your cables and prevents this stress. Lapinator, Inc. is committed to providing innovative and well-designed products that help solve everyday problems. Our goal is to ensure that every customer is completely satisfied with each product they purchase. Only $5.20 or $6.70 (for one Lapinator) Priority Mail shipping anywhere in the United States and Canada! PR: iSkin has released a version of its ProTouch keyboard protectors for the MacBook and MacBook Pro. Lets face it. Hours upon hours at your computer exposes your keyboard to an endless barrage of particles that range from dust to food - not to mention key wear. That's why iSkin created ProTouch keyboard protectors for MacBook and MacBook Pro. They are specially made from a high-grade silicone that is far beyond yesterday's plastic keyboard protectors and are precision molded to fit over and protect each key without sacrificing the normal typing experience. Since silicone is moisture resistant it creates an effective barrier between you and your keyboard protecting it and ultimately your computer from possible harm. ProTouch is designed to maintain a clear view of the keyboard so that you can enjoy safe typing without sacrificing functionality. ProTouch Keyboard Protectors work great to protect your MacBook or MacBook Pro keyboard in just about every environment. Whether it's at home, work or school, it does an effective job of keeping damaging elements from entering the keyboard and causing damage. Millions of particles fall over your keyboard over time. iSkin's ProTouch protectors will effectively stop these particles from ever reaching the surface of the keyboard resulting in a longer life for both the keyboard and the computer. ProTouch is made from a flexible yet durable high-grade silicone that conforms to the contours of each key to provide a natural typing experience. It is also coated with a slick finish so fingers slide effortlessly during speedy typing. ProTouch keyboard protectors are easy to install. Simply place over the keyboard and massage into position. Its unique design allows it to stay securely in place and may be left on at all times. Keeping ProTouch clean is as simple as removing and washing with warm water and mild soap. Washing routinely also helps to prevent the spread of germs. 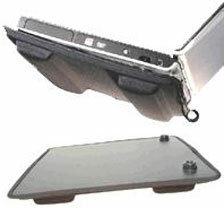 Also available for PowerBook G4 Titanium and G3/G4 iBook, PowerBook G3 and Clam Shell iBooks. PR: SlimBatteryMonitor is a replacement power gauge for Apple's Mac OS X that tracks both laptop batteries and many UPS batteries. Multiple-battery systems (e.g. older PowerBooks) are supported as well. A graphical icon shows the power remaining, and can be accompanied by a text description (battery charge in percent, or time remaining). Colours can indicate whether the system is fully charged, charging or on battery.